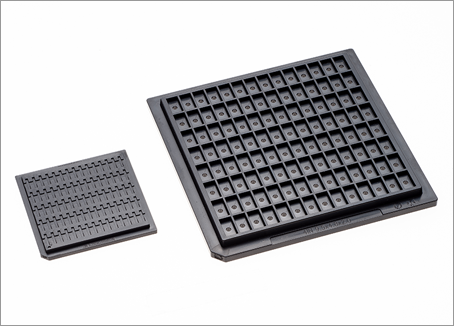 Anti-static colored trays, 150deg C bakeable trays are possible. It can be tailor-made to customers’ requirements. Tooling up one side (using our open back cavity & mold base) is also possible. Also line up open tools. Please feel free to contact us. Copyright © 2019 SHINON CORPORATION. All Rights Reserved.